In conjunction with Memorial Day, when the nation honored those who serve and have served, Long Beach High School students reached out directly to those at the Northport Veterans Affairs Medical Center on May 24. 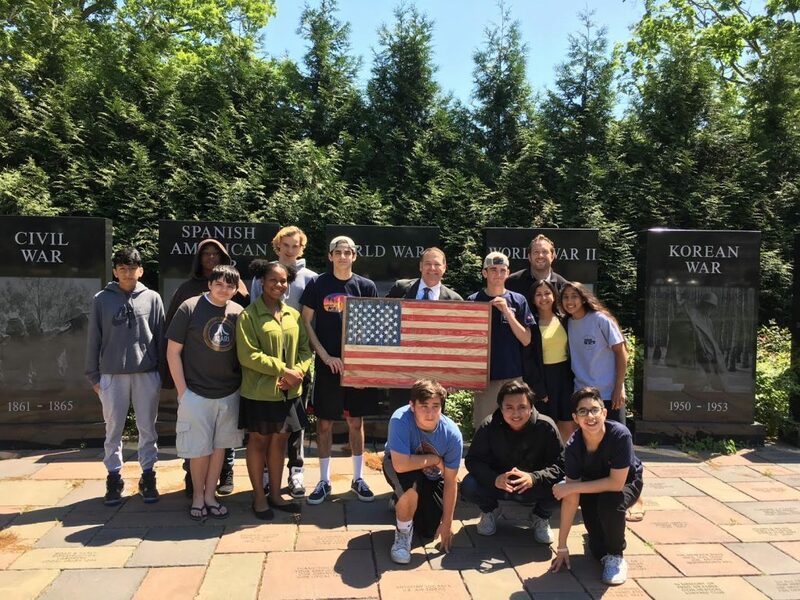 Planning for this field trip has been in the works for several months, as members of the woodworking classes put the finishing touches on wooden American flags that they delivered to the veterans as gifts. The students met veterans that are residents of the center as well as Assistant Secretary for the Department of Veterans Affairs’ Office of Human Resources and Administration Peter Shelby. They also had the opportunity to tour the chapel, memorial garden and Wall of Wars. For weeks leading up to the visit, the classes dedicated time to cutting and assembling scrap wood, staining field strips red and blue, painting stars, attaching frames and applying polyurethane. This was one of many community outreach projects that the woodworking classes have coordinated, and it was a great success. “The trip far exceeded my expectations, and this is certainly something that I intend to add to my curriculum every year,” said teacher Eric Heck. 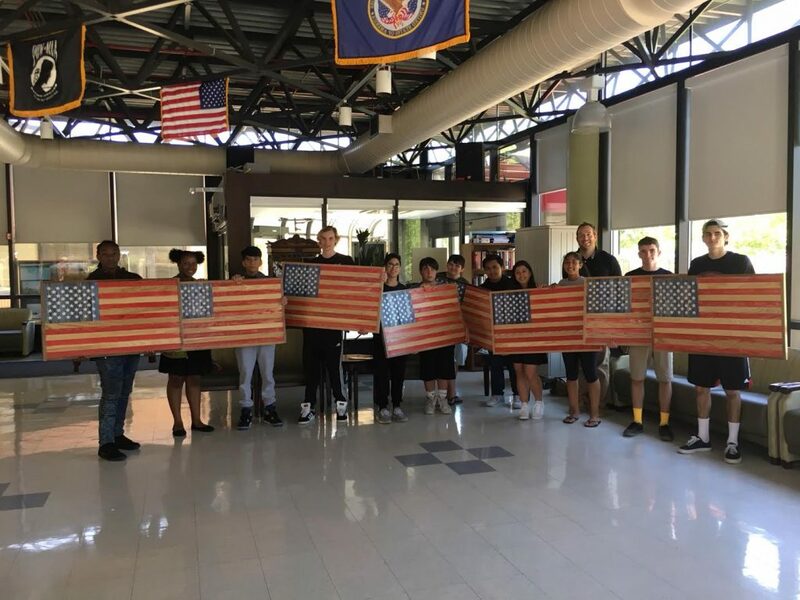 Long Beach High School students delivered handmade wooden flags to the Northport Veterans Affairs Medical Center just prior to Memorial Day.